St. Paul’s Foundation is a proud supporter of the Downtown Urban Knights Defending Equality and Solidarity (DUDES) Club. Their goal is to connect men living in Vancouver’s Downtown Eastside (DTES) – especially those who may have fallen off the grid due to substance use – to healthcare providers in a safe and trusting environment. 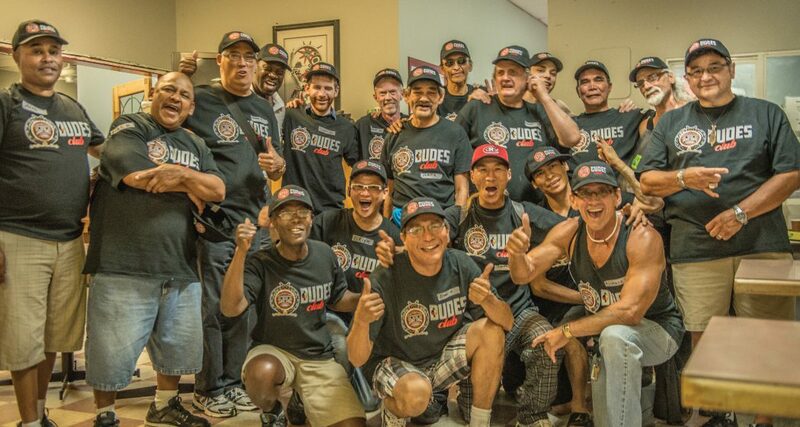 Now in its seventh year, DUDES Club attracts a community of up to 60 men at its biweekly meetings at the Vancouver Native Health Society. The group meets with health-care providers, including co-founder Dr. Paul Gross, who facilitates discussions. Dr. Gross is a member of Providence Health Care’s Department of Family and Community Medicine, a long-time supporter of the Club. The program was born of a community forum at which it was observed that there remained a lack of programs for men, who have their own specific health challenges and needs. “Men don’t talk about their health as women do,” says DUDES Club external liaison Sandy Lambert. Part of the DUDES Club’s power is the creation of a safe, comfortable environment in which men can remove their armour. This allows men to open up about health concerns. Meetings incorporate the calming presence of Elders and use the Aboriginal medicine wheel to bring focus to the balance of mental, physical, emotional and spiritual aspects of health. The activities create a dynamic of solidarity and camaraderie that the men respond to well. Learn more about DUDES Club and check out their documentary A Brotherhood for Men’s Health at dudesclub.ca.